Kimberley Griffith has always had a passion for hairdressing. She studied Nutritional Medicine at university, but then decided to combine her passion for hair with the knowledge she’d gained from her studies to pursue a career as a hair professional. Kimberley is ambitious to build on her knowledge and skills in order to advance her career opportunities. 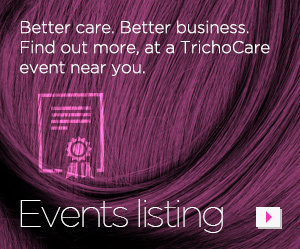 So with the support of her salon in Sussex, Kimberley applied to TrichoCare Education to study the Introduction to Trichology Course. Now Kimberley’s nearly completed the Course. 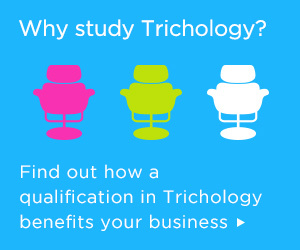 Kimberley is studying TrichoCare’s full trichology course. 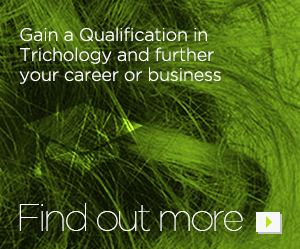 The course is now accredited as the ITEC Level 4 Certificate in Trichology. The Course enables students to gain the practical and theoretical skills in order to provide effective hair and scalp advice and services. It can be studied at selected FE Colleges or by distance learning together with lectures, guided learning sessions, clinical observation and written assessment and examination. Study for the Certificate includes detailed examination of the science of hair and scalp conditions, an in-depth study of the chemicals used in hair treatments and why they can cause concern, occupational hazards, and how best to advise clients on a healthy lifestyle. When they’ve successfully completed the Course, students are Registered as a Trichologist with TrichoCare Education, and can then establish their own trichology practice.